Roughly during the sovereignty handover of Hong Kong in 1997, I decided to focus my photography in colour, refining my visual narrative with the colour medium. I have never shot a single b/w photo since then. (My VR project last year was done by converting colour 360 images into b/w artificially). It became a strange soul searching journey to me when I digged into my b/w archive recently. These photographs reminded me how we lived and through them we might find a vestige of the city remains. Many of these photos were taken during my college years that they might not be technically exceptional or “Ho Fan-ish". While going through these photos made in the embryonic stage of my career, I felt like having a weird dialogue with a much younger self. It’s also like talking to a stranger as I might no longer embrace aesthetics of such kind anymore. I usually have no room for nostalgia even when witnessing the decline of this city. However, these photos give me a hint of how my personality and my vision towards the world have been shaped. 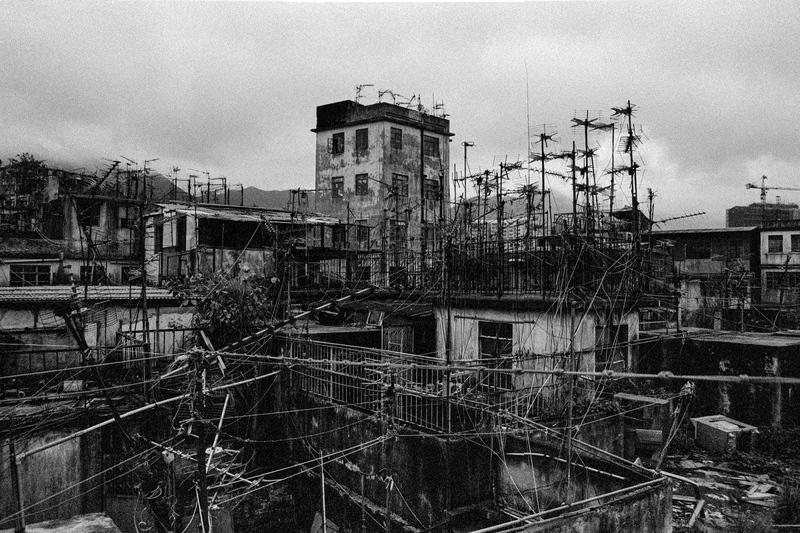 Dustin Shum (岑允逸) is a documentary and fine art photographer based in Hong Kong.